Bill boards in French ''paneneau d'affichage'' is one of the ways you can use to get the attention of your consumers or target custumers. We all know the power of online advertisement but we dont have to make our marketing strategies to target users online. A good advertisement strategy is the one that will get as many clients as possible within a given time or in a long run depending on the objectives of the advertiser. If you consider using such a method to advertise make sure you follow the correct way else you might end up just wasting your time since you product will end up with a big cross by the government officials as had been the case in Yaounde and other parts of Cameroon. Media plus and LED Media are some big names when it comes to offering these services. This is why we work hand-in-glove with them to make the service available to everyone interested with little or no stress. 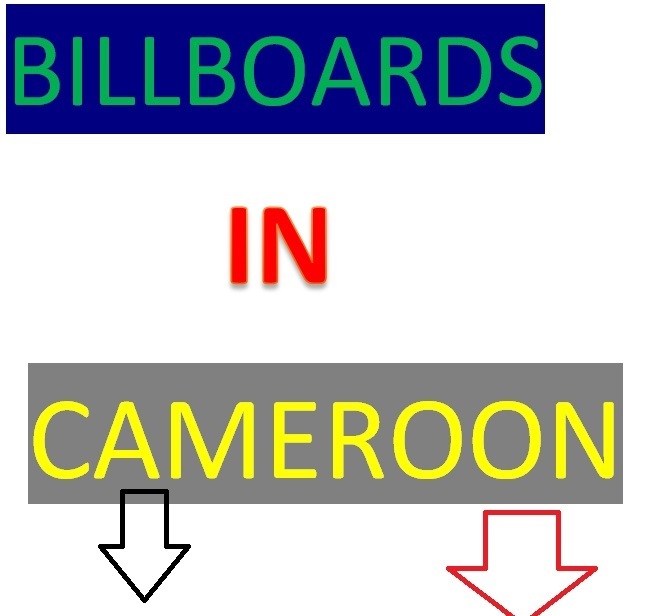 Bill boards had played a role in the the rapid growth of companies like MTN Cameroon ( 4G services), Orange Cameroon (Orange plenty) ,Brasseries ( 33 export),UBA bank (VISA CARD) among others. These companies usuall share a particular message or display a product or service for road users to see. Bill boards have equally played a role in promoting churches especially in Buea ,Mile 17 quarter . You can find a good number of bill boards there. You can find hundreds of bill boards in the town of Douala in Akwa,Deido,Bonamossadi ,Mboppi and Makepe neighbourhood. -You must have seen the ''Eto'o peu '' Campaign by MTN everywhere on the streets of Cameroon . There are others you might be thinking of right now. But those are the two i can remember. feel free to let me know if there is another one like these two. This is the same in other regions of Cameroon. There are different types of Bill boards that can be used to promote a brand,product or service depending on your budget and intentions. Many brands are making use of billboards to increase sales and brand awareness.Consider trying this out for your business too. 1. create a bill board, get a location, request authorization from the council and your bill board will be on the streets saying'' Hello'' to all. 2. Send us an email and request for a quote. we will handle everything for you while you sit and take coffee. sounds nice right? Its now over to you: what is you favorite way to advertise in Cameroon?